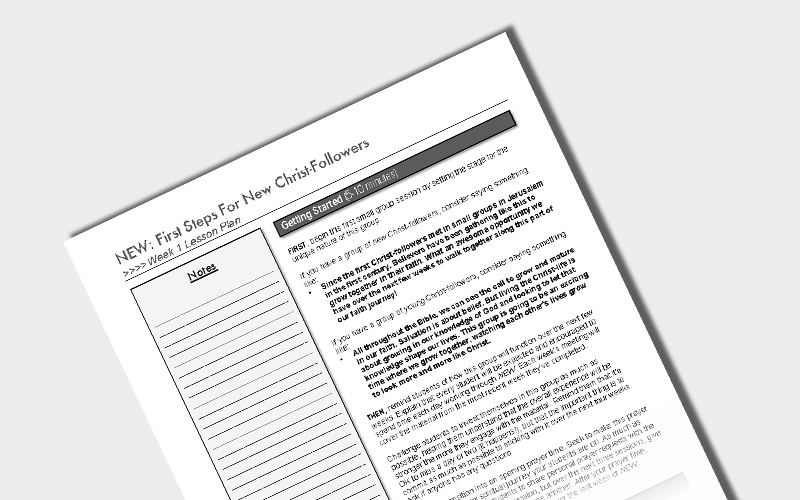 This bundle contains NEW: First Steps for New Christ-followers which is currently being re-released with all new design and freshened up content on or before November 19, 2018. Your order will ship then and you'll be getting the all new version of NEW! 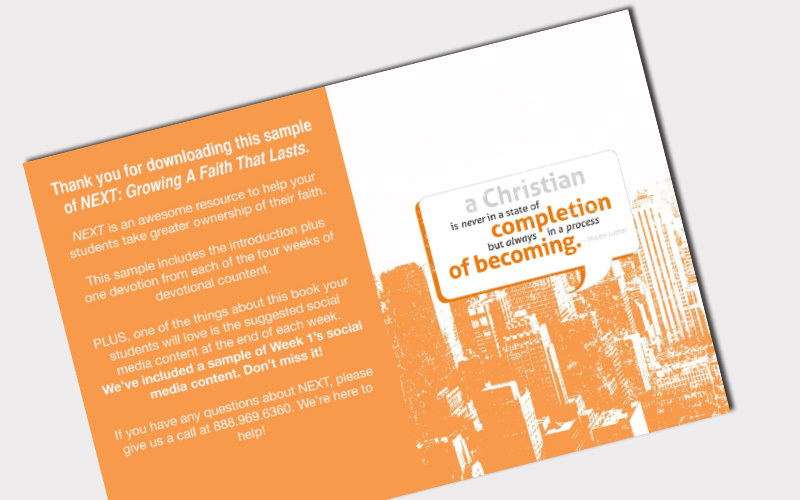 This bundle is made up of our NEW: First Steps devotional and our NEXT devotional. 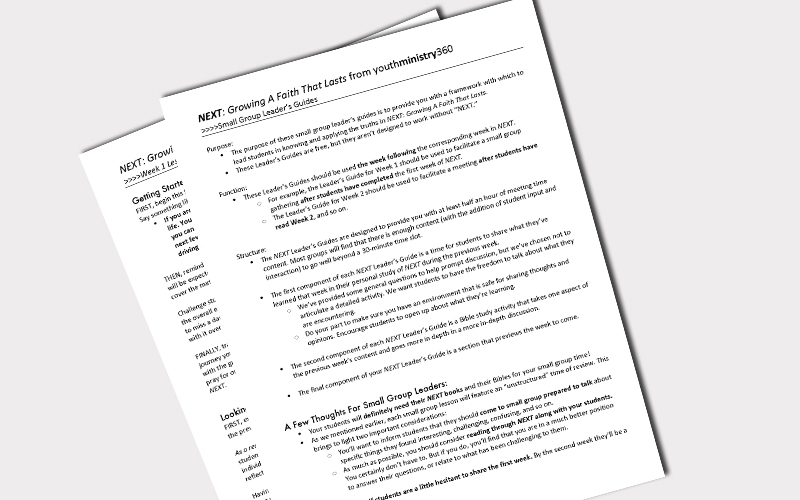 Buy this bundle and help teens take the first steps on their new journey with Christ (NEW) and then help them take ownership of growing their faith (NEXT). Each journal works great as a stand alone if you'd prefer to distribute these accordingly! NEXT WILL TEACH TEENS . . .